Distinguished guests from Ministry of Justice and the Arbitration Council Foundation attended the Opening Ceremony of the sitting Judge Workshop (02/03/2017). The Hon. 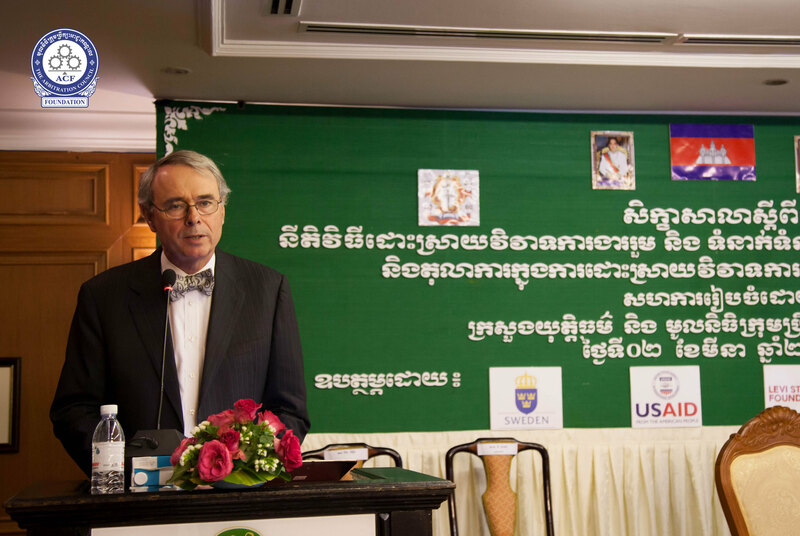 Geoffrey Guidice AO gave a talk to Cambodian Sitting judges on the FWC and Australian Court. 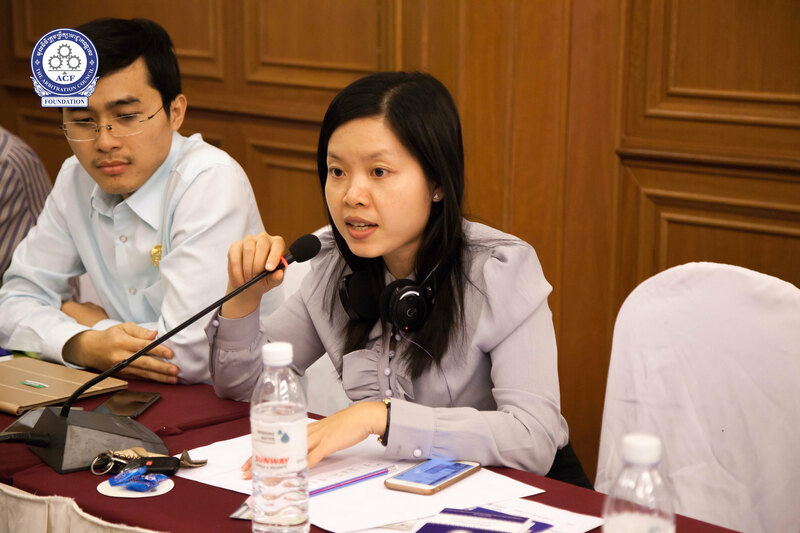 Participants attended the workshop on “Collective Labour Dispute Resolutions Procedure and Relations between the Arbitration Council and the Court for Sitting Judges." 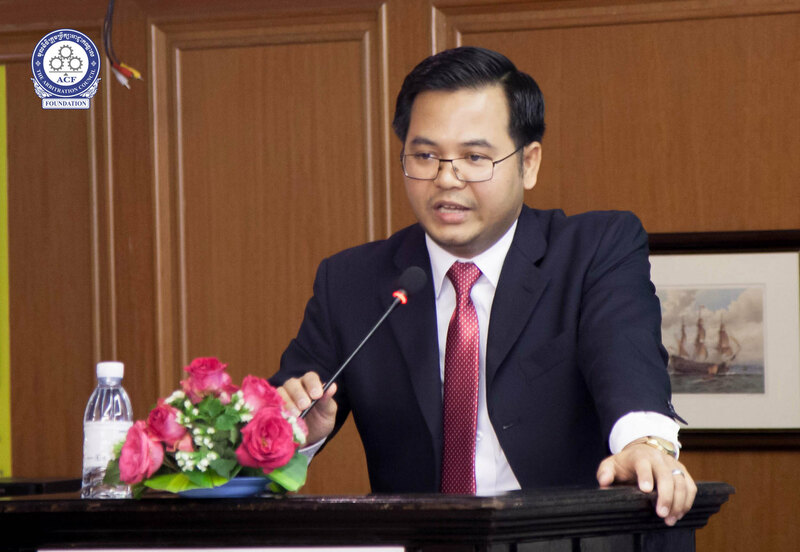 On 02 March 2017, the Arbitration Council Foundation (ACF), in cooperation with the Ministry of Justice, organized a workshop on Collective Labour Dispute Resolutions Procedure and Relations between the Arbitration Council (AC) and the Court for sitting judges, at Sunway Hotel, Phnom Penh. H.E. 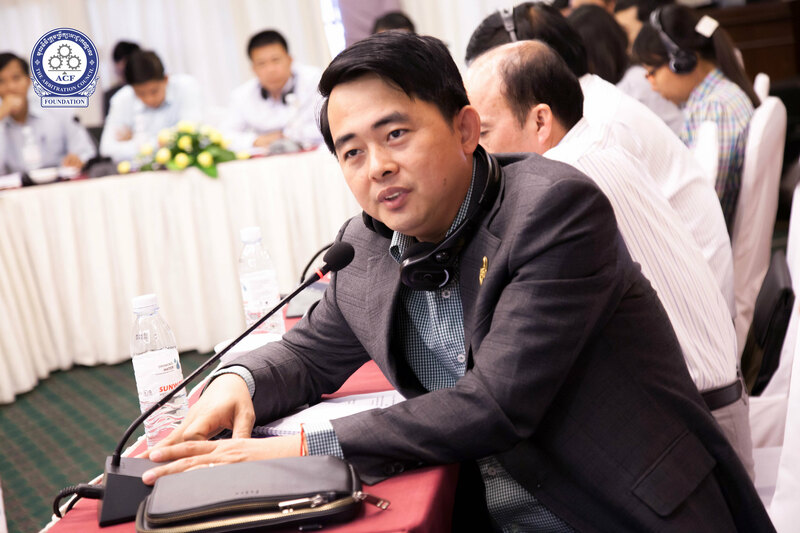 Chin Malin, Deputy-Secretary of State of the Ministry of Justice stated that this workshop was part of action plans of judicial reform. 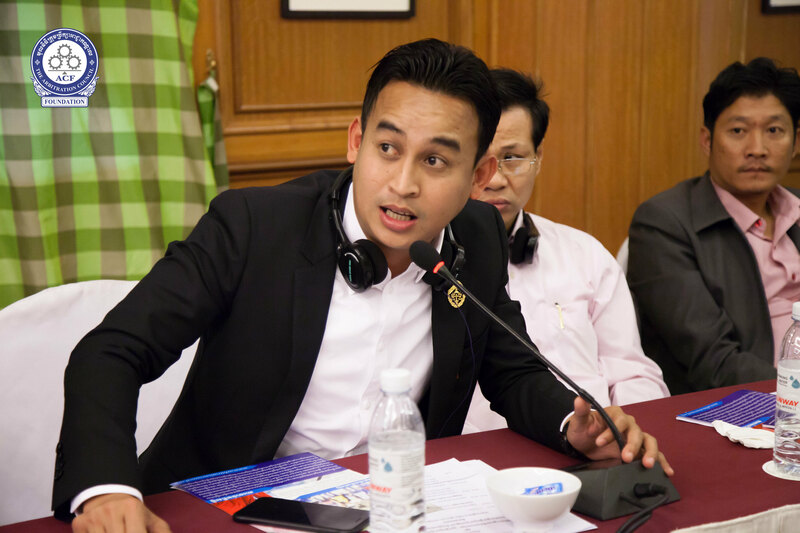 Mr. Men Nimmith, Executive Director of ACF, added that it [the workshop] was the result of a meeting between ACF International Advisory Board members with the Minister of Justice in last December before introducing the very experienced guest speaker, the honorable Geoffrey Giudice AO, former President of Fair Work Commission (FWC) and Judge of the Federal Court of Australia. It is important to note that the Court in Australia plays an important role in enforcing the decision of the FWC but does not have the jurisdiction to review the merit of the cases decided by the Fair Work Commission (FWC). FWC conciliates and arbitrates both individual and collective labour disputes to harmonise the industrial relations in Australia. An appeal on the decision of the Commissioner can be granted if the party satisfies certain conditions. 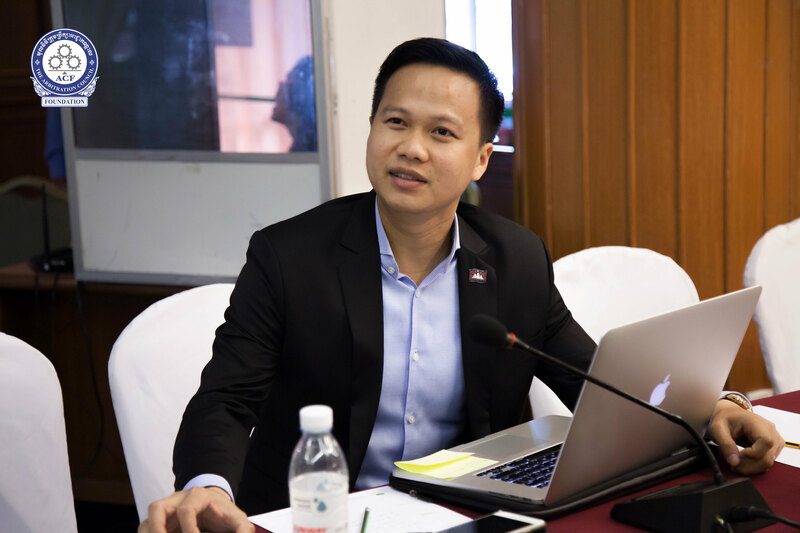 There were 30 participants (Female:09, Male:21); 19 of them were sitting-judges (Female: 02, Male: 17) from Phnom Penh and 7 provinces across the country (Siem Reap, Svay Rieng, Kampong Chhnang, Sihanouk, Kandal, Takeo and Kampong Speu); 6 participants are officials of the Ministry of Justice, and 5 staff of ACF. 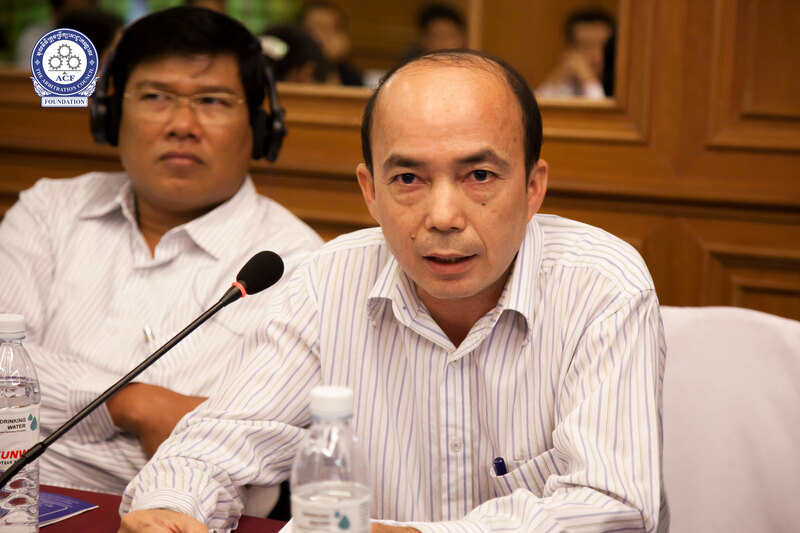 The workshop was concluded with a fruitful discussion and sharing environment.